Playing Cards get torn and soiled easily. 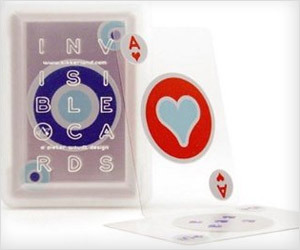 Not if you have “Invisible Playing Cards” made of transparent PVC material. These plastic cards are fully waterproof, apt for play session near swimming pool.